Working alongside 4,000-lb wild animals may seem like an inherently dangerous job. And wildlife lovers may not have a whole lot of sympathy for a zoo employee injured by an animal that has already tried to escape twice and should be roaming free in the grasslands of Central Africa. But a female zookeeper struck by "Archie's" horn at the Jacksonville Zoo and Gardens is probably just wondering if she can get paid for the time she'll miss work. Most employers are required to carry workers' compensation insurance, which reimburses employees for lost wages due to a work-related injury. A "work-related injury" is generally defined as one suffered while doing something on behalf of your employer or otherwise in the course of employment. 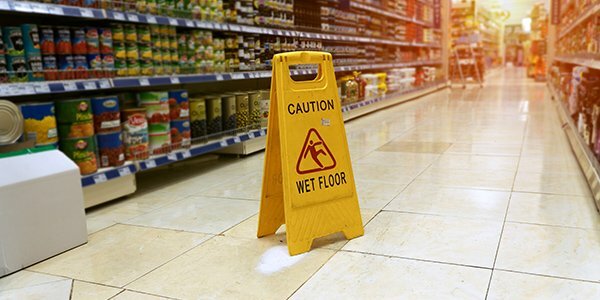 While most of the injuries classified as work-related occur at the workplace, some covered accidents may occur at other locations or in company-owned vehicles -- as long as the employee was doing something connected to their job. In this instance, zoo spokesperson J.J. Vitale said the zookeeper was injured when she came into contact with Archie during a routine training session. The zoo's executive director, Tony Vecchio, said zookeepers conduct the sessions with the animals to prepare them for medical exams, and the training generally involves teaching them how to open their mouth and lift their feet on command, as well as submit to blood tests. While Vecchio also said there is always a safety barrier between the zookeeper and the animal -- and that there were vertical and horizontal bars in between the zookeeper and Archie -- Jacksonville Fire and Rescue confirmed she was transported to the hospital with serious injuries. Workers' comp covers injuries which can be connected in some way to an employment requirement or condition, so it's likely the zookeeper will be covered in this case. If you're wondering if your work injury falls under workers comp, need help filing a claim, or you've had a workers' comp claim rejected, contact a local attorney for help.